IAMS Dog Food Reviews, Ratings, Recalls, Ingredients! IAMS was founded in 1946 by Paul F. Iams, based on his desire to innovate the dog food world. The first IAMS dog food, IAMS 999, launched in the 1950s. 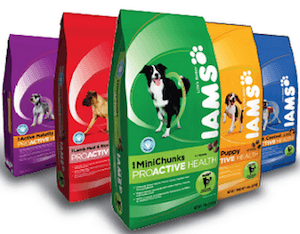 After 11 years of research, more IAMS dog food products launched the next decade. In the 1980s, IAMS became one of the first brands to focus on food for different life stages. Since then, the brand has expanded to cat food, canned food, and several other varieties to meet a number of needs. 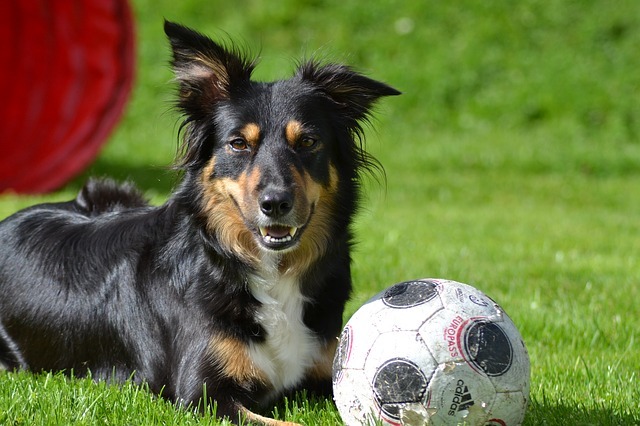 IAMS focuses on research that continuously improves its dog food quality. It was the first dog food brand to think of dogs as carnivores and, therefore, develop animal protein-based diets. Its motto is "Never cut corners - never compromise", as it abides by the high standards it sets for itself. IAMS is so sure of its brand that it offers customers a 100% money-back guarantee if not satisfied. Is IAMS a good dog food? My IAMS dog food review takes into consideration my own research and reviews on IAMS dog food. To be honest, I'm a bit conflicted when it comes to IAMS, and it seems that consumers are, too. The brand tends to have very mixed reviews, which has led to my 3/5 rating. In fact, IAMS is one of the most veterinarian-recommended dog foods. However, it seems that many consumers do not understand why veterinarians recommend the food. So, it seems that people are very conflicted with IAMS. This led me to really look into the food and real reviews to help me form my opinion. IAMS comes in so many varieties, you'd have a difficult time finding one that doesn't meet your dog's needs. From puppy to senior, IAMS covers all life stage needs. Additionally, IAMS offers a wide variety of diets for health issues, like weight control, joint support, intestinal health, and more. IAMS even offers a veterinary diet product line that your vet can recommend for special dietary needs. Really, it has just about every dog covered, which is one of the reasons it's such a well-known brand today. Also, you can rely on IAMS for good ingredients. It does pack a lot of ingredients you come to expect in your dog food. Real meat, for example, which is the first ingredient listed on meat varieties. You'll also find whole grains to aid in digestion, which is perfect for dogs without grain allergies. Additionally, the nutrient profiles of IAMS foods are right on target. You should never need to worry that your dog is getting enough fiber, protein, fats, and vitamins from IAMS food. After all, this is one of the things IAMS heavily focuses on. However, there are some worrisome things about IAMS food that lower my rating. First, its customer reviews. Although they seem to be very mixed, there are many that say IAMS food has made their dogs very sick or even resulted in death. Since these claims haven't yet been proven and IAMS has no recalls in the last 2 years, I can't say whether they're true. However, there are too many similar reviews to ignore, so I feel they're important to mention. Also, IAMS insists that it treats dogs as carnivores, not herbivores or omnivores. However, its ingredients prove differently. Although I personally like having some grains, veggies, and fruits in my dog's food for balanced nutrition, this goes against the IAMS mission. I'm not sure how I feel about a brand that says one thing, but doesn't deliver. After all, I'm sure many consumers looking for a full-meat product will be left unsatisfied with this flip-flop. Looking at nutrients, you'll see that they go above and beyond AAFCO guidelines for dog food. There is plenty of protein, fat, and fiber, with extra calcium for strong, healthy bones. Perfect! But, I'm a little confused about the ingredients. IAMS states that it was the first company to consider dogs as carnivores rather than omnivores. I take that to mean that dogs don't need vegetables or other plants in their diet. Carnivores eat meat, omnivores eat both. So why is it that I see so many veggies in IAMS dog food? Don't get me wrong, because I'm not at all opposed to vegetables or fruits in a dog's diet. Instead, my concern is that IAMS is marketing itself as a carnivor-friendly recipe brand, but it's not delivering. For example, this particular variety has carrots, tomatoes, and peas. It also has grains like whole grain sorghum and whole grain barley. All of these are okay ingredients for dogs to eat, but do they fit with the philosophy of IAMS? This confuses me a bit. There is no history of an IAMS dog food recall in the last two years according to the FDA and IAMS reviews of dog food. Overall, I think IAMS is a respected brand, as it should be. It's one of the most well-known in the industry and one of the most veterinarian-recommended. That says a lot for a dog food brand. I believe it has real ingredients that are good for dogs and a healthy nutrient profile for overall optimal health. However, I have an issue with its ingredients going against the IAMS mission. IAMS prides itself on being the first company to treat dogs as carnivores. Therefore, their ingredients should focus on carnivores, but they don't. While IAMS packs its dog food full of great ingredients, they fall short with what IAMS projects to its customers. If it wants to keep loyal customers and bring in new ones who love its mission and philosophy, IAMS needs to make sure it continuously aligns with that philosophy. Natural Balance Dog Food Reviews, Ratings, Recalls, Ingredients!